858e, Acoustic-electric resonator guitar from Taylor in the 800 series. The 858e is a Grand Orchestra model with Sitka spruce top and Indian rosewood back and side, which according to Taylor delivers "a rich and powerful sound" while also responding well to a lighter attack, offering a large dynamic range. It also features all the attributes common to all Taylor 800 Series models — such as protein glues, thin finish, optimized wood thicknesses and more. It is equipped with Taylor’s Expression System 2 electronics for use in amplified settings. The 858e has a $4,378 US MSRP. The 2016 version of the Grand Concert-shaped 562ce 12-Fret features tropical mahogany top, back and side with a 12-fret neck and a 24-7/8-inch scale length. According to Taylor, its slinky handfeel makes fretting and bending strings easier, the neck and body are comfortably balanced, and the compact body aims at producing a clear 12-string voice. The hardwood mahogany top is said to add just enough compression to the attack to smooth out the response, aiming to bring a real consistency across the tonal spectrum while still capturing the octave shimmer.Finish includes a shaded edgeburst body and neck, faux tortoise shell binding, a rosette of faux tortoise shell and grained ivoroid, and a grained ivoroid Century fretboard inlay. 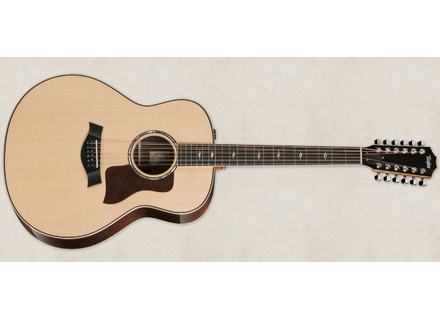 It is also equipped with Taylor's Expression System 2 and has a US MSRP of $3,538. More details available at www.taylorguitars.com. [NAMM] Duesenberg's Soundgarden signature guitar Duesenberg has introduced the Alliance Soundgarden Black Hole Sun, a collective signature model dedicated to the band Soundgarden. [NAMM] [VIDEO] Hughes&Kettner TubeMeister Deluxe Hughes & Kettern demonstrate their new Tubemeister Deluxe 20 & 40 models. [NAMM] A rather odd hollow body Telecaster With this Limited 1967 Closet Classic Smuggler's Telecaster, the Fender Custom Shop offers a variation on the concept of "hollow body guitar".